For further reading, go to part one and part two in this series about breathing. Although yoga is overall balancing, we carry our patterns from our daily life into our yoga. Therefore form and content needs to balance in order to increase the overall health in a person. A yogi would call the form Praktiti (matter) and the content Purusha (Spirit). So if we balance the opposites of yin and yang, we balance Praktiti and Purusha – the forces that makes up our form. In yogic philosophy, the principle of balance is illustrated by three states of energy, or gunas, known as rajas, tamas, and sattva. Rajas is activity. Tamas is inertia or passivity, and Sattva is a balance, between the two. These are the three forces that exist in nature to manifest energy, similar to the neutron, proton, and electron of the atom. The gunas are the principal building blocks of nature; they bind the individuated self to the body by activating the five elements (earth, water, fire, air and space) and are brought to life by spirit to take form. In sattvic balance, rajas and tamas dance together. They don’t fight like they do when not in harmony. The first step to attain a more balanced and neutral (sattvic) mindset, breath and body is to learn how to quiet the vrittis; the restlessness of the mind (the amplitude of the brainwaves) through the practice of yoga in relation to meditation. This since the mind rules over everything in us. Through pranayama we can start to balance the nervous system without doing rethorics with the mind. In pranayama we speak directly to the systems via chemistry. The vrittis can be understood as waves on a lake or an ocean. And the waves come from the wind blowing (the underlying turbulence behind our thoughts; the unconscious). If we can stop the wind from blowing (calm the unconscious) then the lake becomes calm and it reflects the sky and the stars (spirit). If the lake is wild, you cannot see anything. This is why a daily practice is so important. The daily yoga, breathing and meditation Sadhana (practice) trains the brain and nervous system to stay present without reacting to everything around you. You train the brain like you train a muscle. And the brain listens to the breath. The breath answers under both involuntary and voluntary systems in us. As yogis we can use this since when we learn how to breathe more consciously we can make the unconscious conscious. The more you practice, the more skilled you will become. Skilled in form of increased concentration, focus and leveled energy levels. From a yogic point of view it is necessary for a yogi to connect to spirit (all that is you) everyday. Then if there is a storm, you will still remember how it was before the storm and what´s behind the clouds and not fall over from your reactions which will make you crazy . All the methods of yoga aim to release blocked energy and rechannel it so it flows more freely (better circulation). When you take a yoga class you become quite aware of these blockages through feeling resistance, stiffness, tension and sometimes aches in the body. 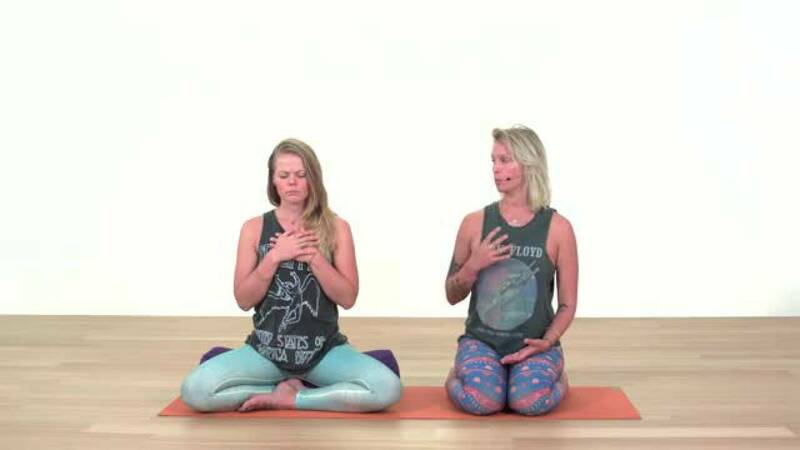 Interesting enough, through the yogic breath and by aligning your body in a more balanced way, these blockages start to release and you will experience profound effects on a physical, emotional, and energetic level. These effects are all ok and signs that tension is releasing. However, if some of these sensations are prolonged, it might be of another kind, and then good to see a doctor or therapist and see if there is something more to it. So, yoga is an amazing tool for us humans to actually start to honor our health from the inside out and not the other way around. But just because you practice yoga, you cannot heal yourself. Yoga also needs to happen in you. That is when the healing takes place. When your systems interact. Just the techniques themselves can't do much. They are just techniques. Their magic comes alive when you start practicing and get into the effects of them. To practice towards embodying the effects of the methods over time; that is how one can overcome great challenges, become stronger and healthier. A great and simple breathing technique to lift and energize your system guided by Ulrica Norberg.